Laura has been a Pet Partners evaluator since March of 2018. 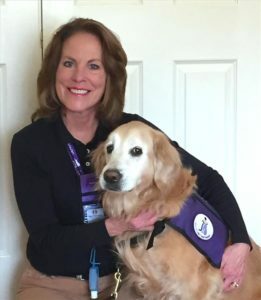 She passed her first Delta Society (the forerunner of Pet Partners) evaluation in 2002 with her first therapy dog, Bob, and joined Denver Pet Partners in 2014 after passing her first evaluation with her current partner, Addie. Laura also serves on the Board of Directors of Denver Pet Partners. In 2017 she received the Animals and Human Health (AHH) Certificate from the Institute for Human-Animal Connection (IHAC) at the University of Denver, Graduate School of Social Work. She loves to watch the variety of handlers and dogs that evaluate with DPP and learns something from each one. 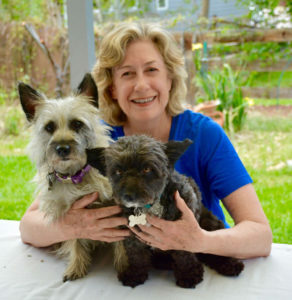 Linda considers it a privilege to be a volunteer with Denver Pet Partners and a licensed handler, instructor, and evaluator for Pet Partners. 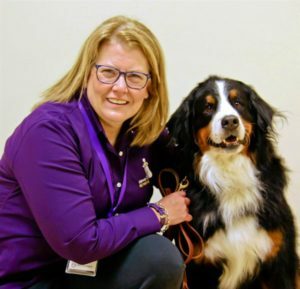 After registering as a therapy team in 2006 and joining DPP at that time, she volunteered for 9 years at Swedish Hospital and at Anythink Library with her first 2 therapy dogs, Kenzie and Toby. In 2010, Linda became an evaluator, and in 2015, an instructor. 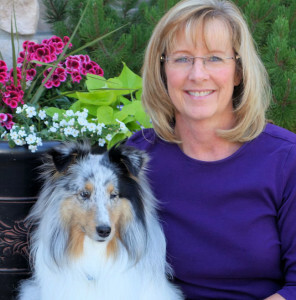 Currently, she volunteers at Rocky Vista University and Columbine Library with her therapy dogs, Will and Kate. Linda is appreciative that volunteers provided training and evaluations for her and she finds it gratifying to be able to provide those services for others. 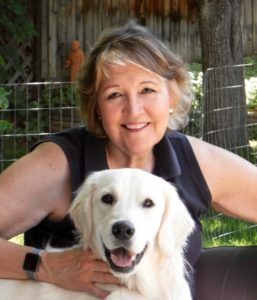 Sandy took the Pet Partners’ Handler Workshop, which was taught by Diana McQuarrie and Ann Rosenwasser, on June 7, 2014 and joined Denver Pet Partners on that day. 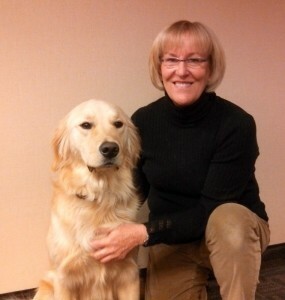 Sandy and Greyson, her current therapy dog, passed their first Pet Partners evaluation in September of 2014. They have participated in many of DPP’s special events and visit as much as possible. Sandy was the Program Coordinator for DPP from 2015 through 2016 and currently serves on the Board of Directors. She became a Pet Partners evaluator in March of 2018. Her greatest joy is to make a difference in someone’s life with Greyson by her side and to serve the members of DPP. Rika joined DPP in 2015 with her dog Bindi. In 2017, her other rescue dog, Baku, passed his evaluation. Bindi is drawn to work with special needs kids in schools and libraries, while Baku prefers seniors. Rika became a certified instructor in 2018 in order to widen her commitment to this special work. 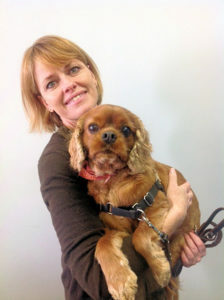 Stacy became a Pet Partners team with her dog Sam in 2010. She has volunteered with him in various facilities and in different parts of the country as well as in Germany on a US Army Base. She became increasingly interested in AAI work by watching the difference human-animal interactions could make in someone’s day, and decided to study it further. She received the Animals and Human Health Certificate from the University of Denver’s Institute for Human-Animal Connection. In 2018 Stacy became a Pet Partners Instructor to help other teams on their journey. Ann became a DPP member in 2005 with her first therapy dog Teddy. She became a Pet Partners instructor in 2007 and a team evaluator in 2008. In addition she became a R.E.A.D. Instructor in 2016. She lives in Kansas but has remained an active DPP member. Ann and her current therapy dog Bode volunteer at Children’s Mercy Hospital in Kansas City, MO in their Physical Therapy Department and evening program with children. Other volunteer activities include women and children’s shelters, school literacy programs, and library programs. Ann feels inspired by the energy, interest, and eagerness of students who attend the Handler Workshops. She enjoys helping them prepare for their journey in the field of AAI and finds it especially fulfilling when the new teams are successful in their evaluation.